Thirsty for raw milk? Tell Texas Legislators today! 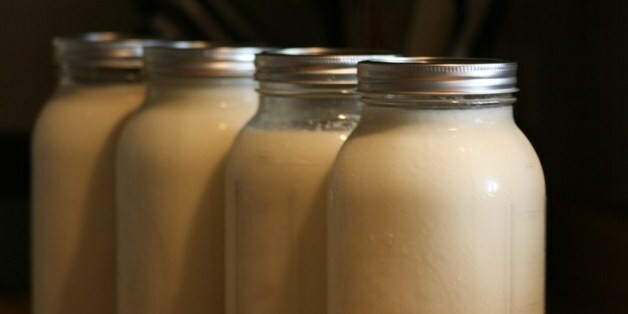 Want to be able to buy raw milk at your local farmers’ market? Or want to be able to have your farmer deliver raw milk to your door, or to be part of a buying group that gets raw milk without worrying about the local health department showing up at your door? Then help us pass HB 503/ SB 80 during the 2019 Texas legislative session! This bill will allow licensed dairy farmers to sell raw milk at farmers’ markets and to deliver to customers. It gets rid of the current burdensome requirement that consumers drive to the farm every time they want raw milk and allows farmers and consumers to connect without the unnecessary hassles. Prior versions of the bill have passed both the House and the Senate (just not in the same session), but opponents of the bill are trying to keep us from even getting committee hearings this session. There’s still time for committee hearings to happen, but that window of opportunity is narrowing quickly. This bill needs to get a committee hearing soon! How can you help that happen? The legislators, especially the chair of the House committee, need to hear from their constituents. The House Chairwoman, Senfronia Thompson, is from the north Harris County/Humble area. Are you or is anyone you know in that district? Wherever you live in Texas, your legislator’s co-authorship of the bill can make all the difference. Co-authoring the bill is a show of public support, which creates momentum for the bill to move forward. You never know if YOUR call will be the one that pushes this forward. Can you call? Can you get 5 friends and family to call or send an email to their State Representatives and Senators? If you already did it, do it again. Two years is a long time to wait for another chance at reform. Let’s get this done in 2019. #1: Please share our alerts with your friends, family, and community. Encourage them to learn more about local food bills and add their voices. Just 10 phone calls – and sometimes less – to a representative can change their vote. Together, we can change the law. #2: Call or email your State Representative and Senator to urge them to co-author HB 503/ SB 80. 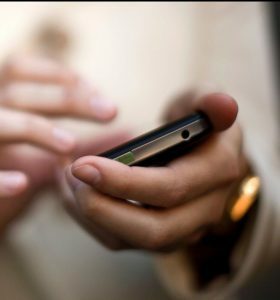 A phone call has the greatest impact, but a personalized email also works. Remember to keep the conversation polite and to-the-point. You can find out who your State Representative and Senator are by going to our Elected Official Lookup page or calling the Texas Capitol Switchboard at 512-463-4630. My name is ____, and I live in [town]. I am calling to urge Representative/ Senator ______ to co-author HB 503/ SB 80, the raw milk bill, and to help the bill move forward as quickly as possible. It is vital that the committee chair hears from people who live in her district – that is who will have the power to get her to act! But with thousands of bills filed, the staff don’t always realize that a bill is in their boss’s committee. So check out Chairwoman Thompson’s district below, and if you are a constituent, include the extra suggested message when you call. And then pass this alert on to others you know in the district. Please, constituent calls only. The Chair is far more likely to respond positively when she hears from her own constituents, rather than from people all over the state. If you don’t live in her district, call YOUR legislator and urge them to co-author the bill to show their support and build momentum for a hearing. HB503 and SB 80 would legalize the sale of raw milk by licensed farmers directly to consumers at farmers’ markets and allow farmers to deliver to their customers. Raw milk is already legal in Texas, but unfair marketing restrictions burden both farmers and consumers. Texas Grade A Raw for Retail dairies are subject to regulations that meet or exceed all regulatory standards for pasteurized milk. HB 503/ SB 80 simply allows licensed farmers to sell raw milk at farmers’ markets and through delivery arrangements. Sales are limited to direct farm-to-consumer and will NOT be allowed in grocery stores. HB 503/ SB 80 improves the safety of raw dairy by allowing producers to transport it to consumers under safe conditions, rather than relying on consumers to remember to take coolers and ice. By allowing a farmer to make a single trip to serve multiple customers, rather than having each customer drive to the farm, the bill reduces vehicle miles, benefiting air quality, traffic congestion, and public safety. HB 503/ SB 80 benefits rural economies because direct farm-to-consumer sales of raw milk can mean the difference between a net loss on the farm and a reasonable income for the farm family. Only 29 illnesses have been allegedly linked to raw milk in Texas in the last 20 years – less than two illnesses per year on average – out of an estimated three quarters of a million Texans who drink raw milk. More illnesses have been attributed to cake, gravy, strawberries, and numerous other foods than to raw milk in Texas.